As part of the College and Career Readiness Anchor Standards, the titles in the Funnier Bone Jokes series meet the standards for Reading, Writing, and Language. This six-title series, written for third and fourth graders, not only includes fun and silly jokes, knock-knock jokes, limericks, tongue twisters, and fun facts for readers to tell each other, it also includes an activity section. In Funny Valentine's Day Jokes, readers are directed in creating their own valentine. Kooky Halloween Jokes instructs students in creating their own knock-knock jokes. Ho-Ho-Ho Christmas Jokes includes a make your own card activity. Corny Thanksgiving Jokes instructs the reader in how to write a limerick. The activity in Brainless Birthday Jokes shows the reader how to make a funny birthday card. The activity in April Fool's Day Jokes helps the reader pull a prank on a friend or family member. All of the books in the Funner Bone Joke series are available in library, paperback, and eBook formats. They are available from your preferred vendor, your local independent bookstore, enslow.com, Amazon, and Barnes and Noble. contains information about the science behind common illnesses and injuries, and includes an activity. Some of the topics covered include ADHD, bites and stings, burns and blisters, dyslexia, diabetes, and headaches. Did you know that Orlando Bloom is dyslexic? So is Britney Spears! And George Clooney! President Woodrow Wilson was also dyslexic, and he was a college professor before he became president. It seems that dyslexia is detected more often in boys, but just as many girls have dyslexia. It is thought that boys have a tendency to misbehave in class if they have learning problems, which the teacher will notice, however girls have a tendency to keep to themselves and will not try to attract attention. Interested in any of these titles? They are all available in library and paperback editions, as well as in single-user and multi-user PDFs and as epubs. You can contact your preferred vendor or local independent bookstore, as well as find the books on enslow.com, Amazon, and Barnes and Noble. The Orange County Children's Book Festival will take place on Sunday, September 29 in Costa Mesa, California. Rosemary Wells is a featured author. The Baltimore Book Festival will also take place this weekend, starting on Friday and continuing until Sunday. There is an App for this festival, downloadable on Apple and Android products. If you are in the area where these festivals are scheduled to take place, please attend! 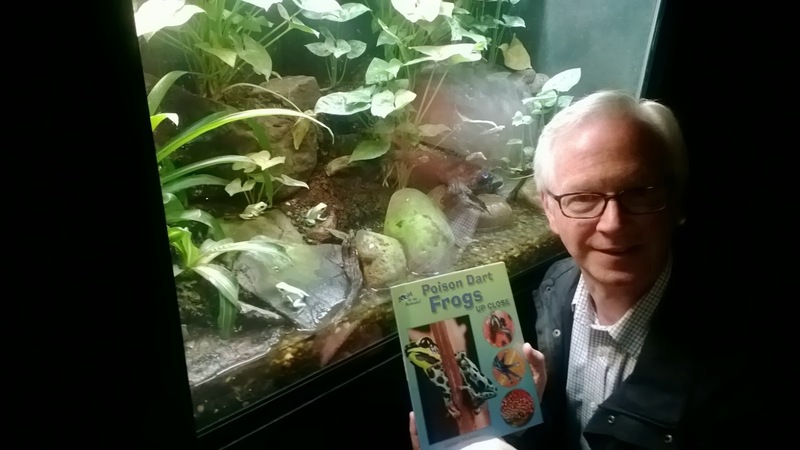 In light of New York State's and New York City's adoption of Enslow Publishers' Poison Dart Frogs Up Close into the Grade 3 curriculum, company president Mark Enslow recently hit the road in search of these beautiful, but lethal, creatures. Mark was able to get up close with poison dart frogs (as shown in the photograph) during a visit to a Pennsylvania site that humanely showcases benign or deadly amphibians and reptiles. Right now, young readers can safely up close with poison dart frogs with Enslow's Poison Dart Frogs Up Close. Author Carmen Bredeson's 24-page, Guided Reading Level K work offers on-target informational text, excellent color photographs, and a reader-friendly design. The book is available in paperback direclty from Enslow Publishers for $6.95. A library-bound edition and a multi-user e-book version is also available. Poison Dart Frogs Up Close is also available from your preferred vendor, Barnes and Noble, and Amazon. For Banned Books Week, Enslow's series Authors of Banned Books contains five titles, each of which contains a brief biography of a banned author. Some people have contended that the Harry Potter books endorse witchcraft, and that children should not read them. The author, Joan Vos MacDonald, analyzes the books and explores both sides of the argument over censorship. John Steinbeck's life and several of his most controversial works are analyzed by author Maurene J. Hinds. The history of book censorship is explored to help readers understand both sides of the debate. Madeleine L'Engle's titles have been banned because they endorse an occult philosophy. Author Marilyn McClellan discusses L'Engle's work, life, and beliefs, while looking at both sides of this censorship debate. Michelle M. Houle discusses Mark Twain's life and times, analyzes two of his best-known books, and explores both sides of the censorship argument. There is a great deal of controversy over whether his books should be taught in schools because of Twain's language and attitudes in his writing, which reflect a more racist time in the history of this country. Wendy Hart Beckman discusses the life of Robert Cormier, analyzes three of his books, and helps readers understand both sides of the censorship debate. Each of these titles include a page of discussion questions, giving the reader ideas for discussing these books with their classmates and peers. All of these titles are available from your preferred vendor, independent bookstore, enslow.com, Amazon, and Barnes and Noble. Did you know that honeybees have more than two eyes? Or that squirrels use their tails for balance? Or that hippos have their ears on top of their heads? Or that polar bears have the best sense of smell of any animal on Earth? Or that a cow uses its tongue to clean its nose? Or that one sea star has hundreds of feet? Discover the answers to these and other questions in the Animal Bodies Up Close series, written for the elementary reader. Each title in this series has a words to know section, a learn more section, and index, as well as a guessing game. All six titles in this series fit Reading and Language Common Core standards, and are available in library, paperback, eBook, and book/eBook combos. They are available from your preferred vendor, enslow.com, your local independent bookstore, Barnes and Noble, and Amazon. There are several book festivals taking place this upcoming weekend. The South Dakota Festival of Books takes place September 20-22. There is an app available which can be found on the website. There are lots of events taking place, some of which require tickets. Some of these ticketed events are free. There will be authors there as well. The Library of Congress National Book Festival takes place this Saturday and Sunday on the National Mall. There is a children's and teens pavilion as well. The Brooklyn Book Festival is taking place this weekend, with a large celebration on September 22 at Brooklyn Borough Hall. This festival also has an associated app available for download from the website. There are youth and children events taking place as well. If you are in the area of any of these festivals, make sure to attend! Looking for a craft book for Halloween? Haunted House Adventure Crafts is a 32 page book written for upper elementary readers. Not only does this title give instructions on creating crafts, it also has a feature about creating your own story using those crafts. Want to make a coffin? How about a mummy or a skeleton? How about a haunted house or Frankenstein? Following step-by-step instructions and using easily found materials, if readers are not interested in creating their own story, they can read the scary story included at the end of the book. This title is available from enslow.com, your preferred vendor, local independent bookstores, Amazon, and Barnes and Noble. For STEM Friday, we are going to focus on two series for the upper elementary/lower middle school reader. Both series focus on inventors. Genius Inventors and Their Great Ideas, a new series for 2013 and written for the upper elementary reader, takes the reader on a journey of learning how different inventions were made and created. One of the books in this series is about Stephanie Kwolek, the woman behind the creation of a fiber, made from petroleum and other products, that was eventually used in bullet-resistant vests. Other titles in this series focus on Theodore H. Maiman, Les Paul, George Ferris, Philo T. Farnsworth, James Naismith, and Vivien Thomas. All of these titles are 48 pages in length, and are available in library, paperback, ePUB, single-user PDF, and multi-user PDF formats. The Genius at Work! Great Inventor Biographies series is written for the lower middle school reader. This series also covers six inventors: Madam C. J. Walker, Igor Sikorsky, Thomas H. Gallaudet, W. K. Kellogg, Samuel Colt, and Ralph Baer. Each book is 32 pages in length, and is available in a library edition. Titles from both of these series are available from your preferred vendor, enslow.com, local independent bookstores, Amazon, and Barnes and Noble. The Westchester Multicultural Children's Book Festival will be held on Saturday, from 11 am to 4 pm at the White Plains Public Library. This is the second year of the festival, and it will feature both children's and YA authors. Read Cows on the Family Farm for Free! Read the eBook for Cows on a Family Farm for free through 9/30/13. Author Chana Stiefel takes readers onto the family farm. Find out how cows live, what they eat, and how they spend their days. For ages 5-8. Congratulations to our latest book raffle winner! Congratulations to the Evansdale Public Library in Iowa for winning our August book raffle! 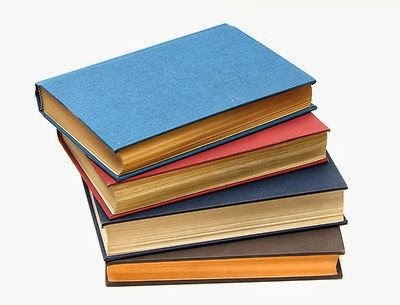 The 9th annual BookMarks Festival of Books and Authors will be in Winston-Salem on Saturday. If you live near or will be in the area on Saturday, attend! The above website also has local hotel links. Hopefully there's rooms available! There's another book festival in Topeka, Kansas this weekend as well. The Kansas Book Festival will be on Saturday, and includes a nice line-up of children's authors! Attend either of this events if you can! Test Drive this entire eBook for Free! Test Drive this entire eBook for Free! Goats on the Family Farm read for free through 9/30/13. GOATS ON THE FAMILY FARM explores a goat’s life. Did you know that you can make cheese from goat’s milk, or that goats are really great jumpers? 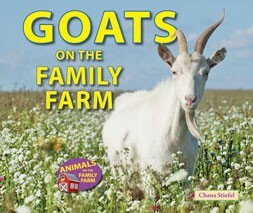 Discover what a goat’s life is like in this addition to the ANIMALS ON THE FAMILY FARM series. Author Chana Stiefel. Avaliable in Library Edition, paperback, and as an eBook. Peyton Manning Throws 7 Touchdowns to Start Football Season! Peyton Manning is arguably the greatest quarterback of all time and his career is still going strong. To start the 2013 season, Manning threw an amazing 7 touchdowns in the opening game of the season! He is on pace to shatter every passing record in football history, which would mark him as one of the greatest athletes in U.S. sports history. Outside of football, Manning started his Peyback Foundation to help disadvantaged kids. Read about this athelete who is a superstar both on and off the field! 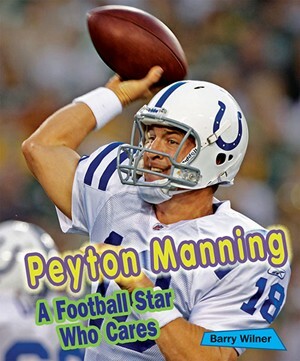 This book is available in Library Edition, Paperback, and eBook by following this link: Peyton Manning: A Football Star Who Cares! 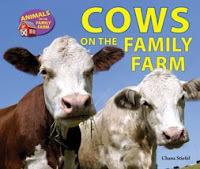 Cows on the Family Farm, for early elementary readers. Moo! Cows on the Family Farm, written for early elementary readers, informs readers about how cows live on the farm. Follow the family at Howling Wolf Farm as this book explains how farmers take care of cows, what cows eat, and the important steps in raising healthy animals. Chana Stiefel, the author, has also written other titles in the Animals on the Family Farm series. Enslow Publishers will be closed on Monday, Sept 2nd, in observance of Labor Day. Did you know that the first Labor Day was celebrated on Tuesday, Sept 5, 1882 in New York City? For information on the history of Labor Day and how it became a nationwide holiday check out the United States Department of Labor web site. Wishing everyone a safe holiday weekend!